Hear about the past four decades and the history of Westmead Hospital in the Living Library located in the main entrance, Westmead Hospital. A visual and oral history featuring recollections of some of our longest serving staff at Westmead Hospital is on display at the facility’s main entrance to mark its 40th birthday. 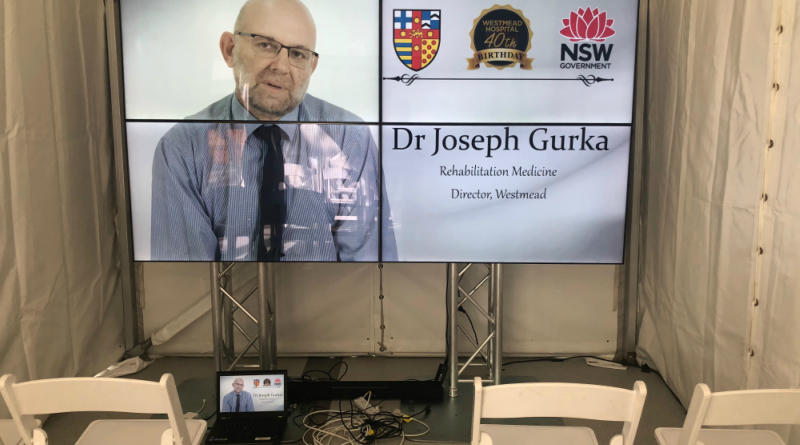 Westmead and Auburn hospitals’ general manager Brett Thompson said the ‘Living Library’ video and marquee gives people a glimpse of the early days of Westmead. “Some of our longest-serving staff share their experiences of Westmead in the 70s and 80s in the video, covering everything from the décor to the uniform policy and the social club,” Brett said. “I encourage everyone to visit the marquee and take a step back in time to hear about the past and the future,” Mr Thompson said. The “Living Library” marquee video installation is open from Monday 5 November until Monday 12 November from 9.00am to 4.00pm (excluding Sunday 11 November).